Tamang Heritage Trek is a cultural trekking with its best offering of lodge based and home stay accommodation. Your trek goes through the ethnic communities, lush rhododendron forests and the rocky trail around the Tamang villages. The people on this trail have huge influence of the Tibetan culture and the lifestyle. It is relatively less trafficked trekking area just beyond the Langtang valley trekking route. Unlike Everest, Annapurna and Langtang trek, it is an exploration trek and the trekking has been developed to visit the unique and a model Tamang settlement. You can discover the native and ethnic cultural pattern throughout the trek. The rhododendron forest prevails in the trail and the wild animals include leopards, musk deer, Red panda and others. Tamang people follow traditional and Tibetan Buddhist rituals from generations. The costumes and rituals are colourful. They are innocent and nature loving people, who have a complete sense of ethnic unity. 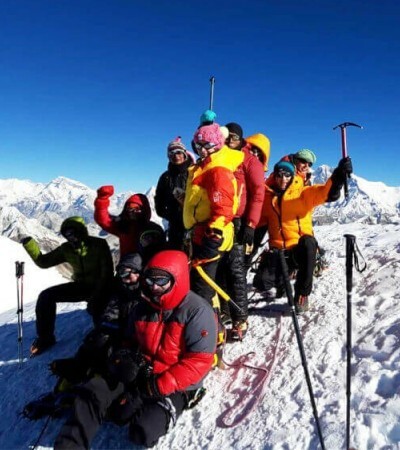 Although, this trekking is considered as the cultural heritage treks, the trekkers have an opportunity to see the breathtaking sceneries of Himalayan ranges such as Ganesh Himal, Langtang Lirung and the other Himalayas as well as the beautiful view of Gurung Village (Ethnic Tribe). Besides, the natural hot water bathe in Tatapani is also amazing. However, the highlighting features of this trekking trail are the traditional culture and customs of the ethnic groups especially of Tamang tribe. Overall, the Tamang Heritage Trek can be the wonderful experience of anyone in the Langtang region of Nepal. The trek begins from Syabrubesi and trek through Gatlang, Tatopani, Thuman and Briddim descends to the beginning point Syabrubesi. This trekking can also be combined with the Langtang Valley Trekking too. Rising Adventure offers Tamang Heritage Trek with an excellent arrangement of the guide, porter and overall management for your incredible trip. Please, contact us for the detailed information. All your personal expenses and other expenses which are not mentioned in "Cost includes"